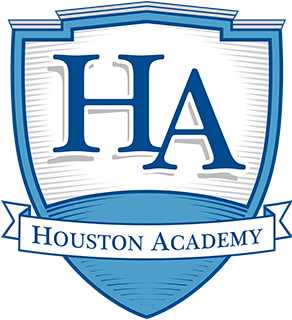 I would like to welcome you and your family to Houston Academy. My Name is Bernardo De Faria, from We Lunch It. We are a catered lunch program that has partnered with Houston Academy to provide a nutritious lunch to the Students, Faculty and Staff. With the convenience of our secure website, you can place a lunch order, and have it delivered. We have been successfully and accurately catering lunches since 1998. Our team is dedicated to give you a personal customer service while delivering delicious, quality food from a variety of local restaurants straight to your hands. To set up a new account go to www.welunchit.com and click (Register). We look forward to serving you and your family this school year. We are here to answer any questions you may have and encourage you to reach out with a phone call or an email. Log In to We LUNCH it! 2. Login with your email address and password. 3. Click on the “Name tab” that you are ordering for. 4. Click “Order Now” on the day desired. 5. Enter the quantity of the preferred food item(s). 6. Press “Add to Cart”. 7. Proceed to check out by pressing “Pay Now”. Please note: Lunch orders are created individually. Simply repeat steps 3 thru 7 for each person you are ordering for. At We Lunch It, we respect and are committed to protecting your privacy. We may collect personal identifiable information when you visit our site. We also automatically receive and record information on our server logs from your browser including your IP address, cookie information and the page(s) you visited while on our website. We will not sell your personal identifiable information to anyone. Your payment and personal information is always safe. Our Secure Sockets Layer (SSL) software is the industry standard and among the best software available today for secure commerce transactions. It encrypts all of your personal information, including credit card numbers, name, and address, so that it cannot be read over the Internet. All orders must be placed and paid by Friday 12:00 P.M. CST before the serving week. We accept all major Credit and Debit Cards. Credits are only given when an emergency closing of the school is issued. The school must notify We Lunch It as soon as possible, but not later than 7:00 A.M. CST. the day of closing. Any and all food delivered by the vendor on their day of delivery to the assigned school has to be ordered through the We Lunch It website only. Orders can only be change or cancel for the upcoming week, any time before Friday at 12:00 P.M. CST.